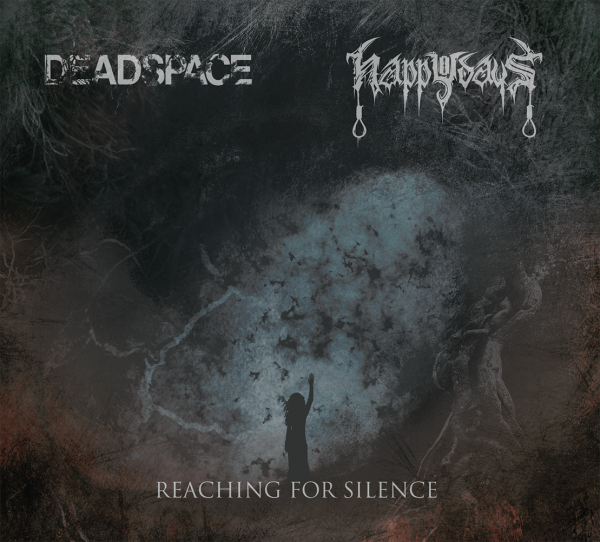 Deadspace / Happy Days - Reaching For Silence | Split-CD and bundle consisting of CD and t-shirt available now! Composite work of the both depressive black metal bands Deadspace (AUS) and Happy Days (US). The split is available as six-sided digipak with booklet-sleeve and a twelve-sided booklet.